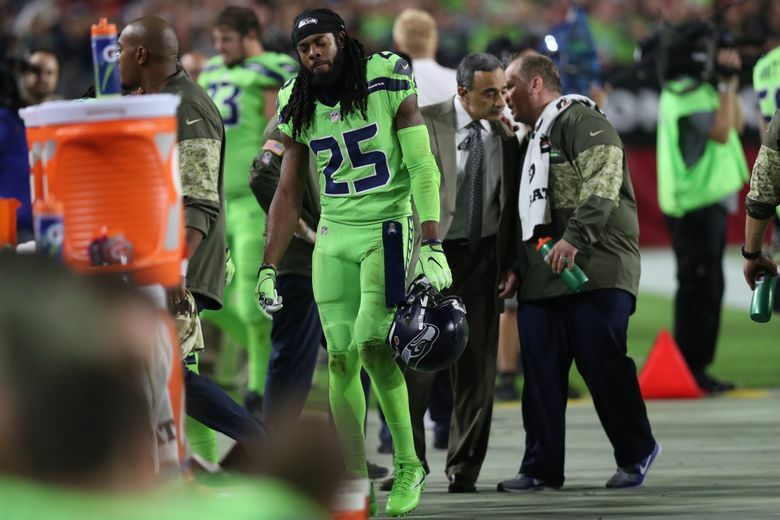 Sherman fell down while covering a route and and ruptured his Achilles, leaving him out for the rest of the season. 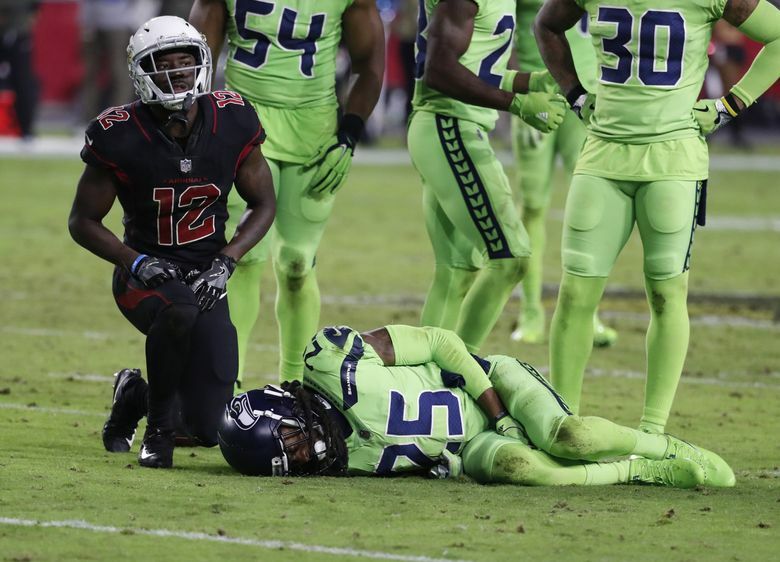 Add one more to the deluge of injuries Thursday night: Richard Sherman, who left the Seahawks’ game against the Cardinals after falling down while covering Arizona receiver John Brown. Coach Pete Carroll said after the game Sherman had likely ruptured his Achilles and that he would miss the remainder the season. Sherman lay on the turf and appeared to grab at his Achilles, the NBC broadcast noting it had been bothering him. He limped off the field under his own power. When a team doctor came to help him off, Sherman shoved him out of the way. Carroll in Sherman: "we'll miss the heck out of him but he'll be with us every step of the way. " Carroll said hard to be fired up about win given the injuries. The Seattle secondary was already without Earl Thomas, who has now missed the last two games with a hamstring injury. 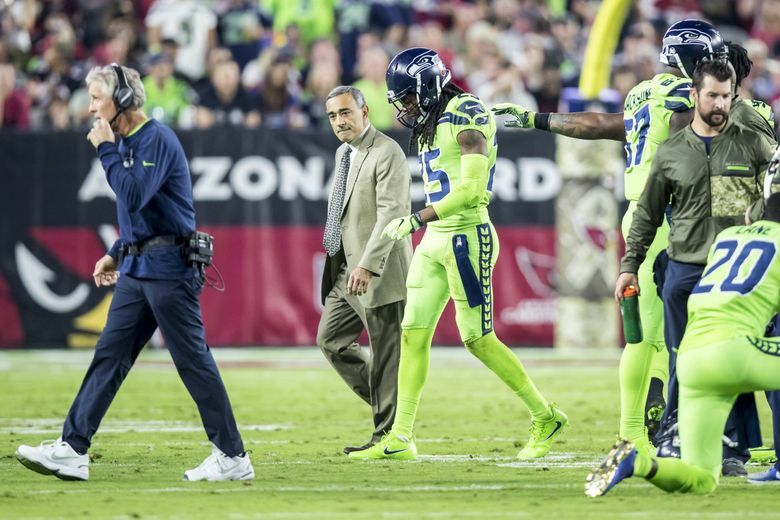 The Seahawks also temporarily lost cornerback Shaquill Griffin and quarterback Russell Wilson, but both returned to the field. Recently acquired left tackle Duane Brown also exited the game with an ankle injury and did not return, as did Jarran Reed, Frank Clark, Michael Wilhoite and C.J. Prosise. Kam Chancellor took a stinger late and did not return, leaving the field on a cart. Sherman memorably called Thursday Night Football games an “absolute poopfest” last season, calling into question how ready players’ bodies are to compete just four days after playing on Sunday.